Ivo is the perfect choice to provide a hilarious and funny atmosphere to entertain your guests. With his charismatic sense of humour and quick drawing he defiantly makes everybody happy. Flexible and reliable he is always on time and ready to provide his service. 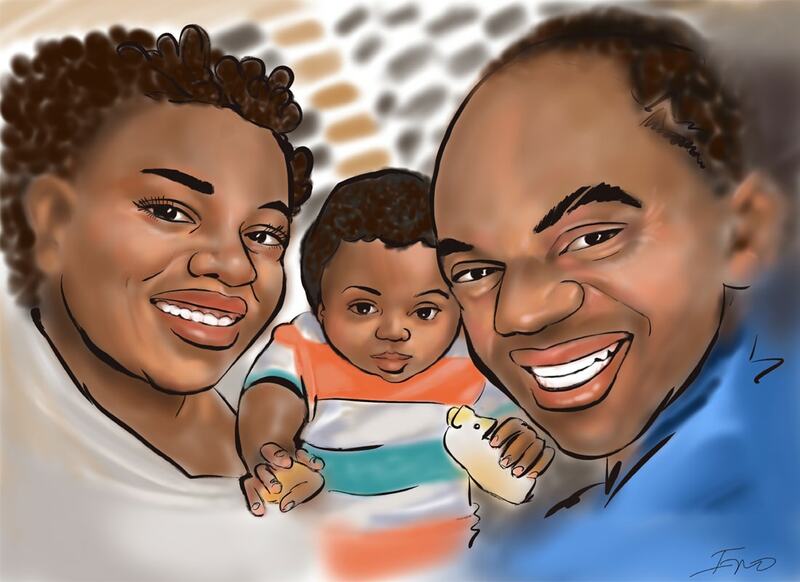 Based in London but will travel he can work on the move or seated with or without easel and draw 12-15 caricatures on A4 or A3 size of paper per hour. 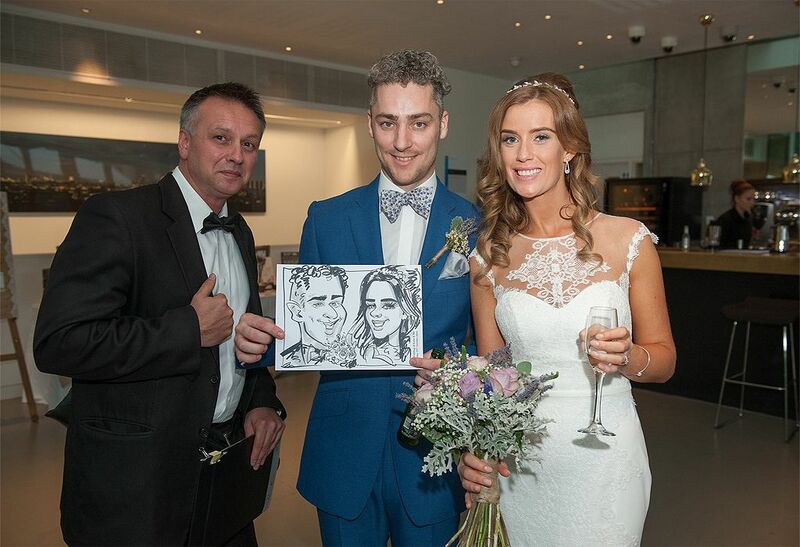 Whether you would like to have a caricature artist on your wedding reception to entertain your guests or a pre-drawn sinning board to display, Ivo the Caricaturist with his hilarious caricatures is the perfect choice. 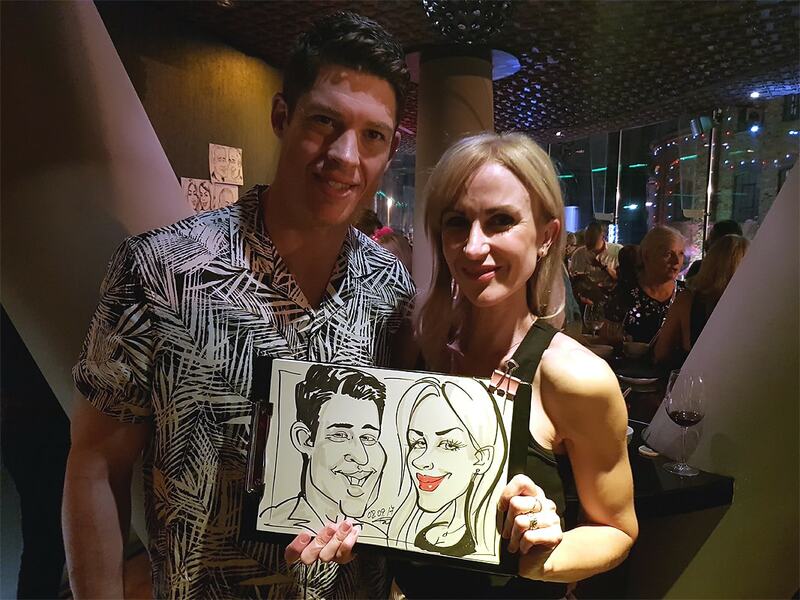 Whether you have a party, dinner, charity, exhibition, award ceremony or corporate function Ivo the Caricaturist is the ultimate choice for entertainment of your guests. 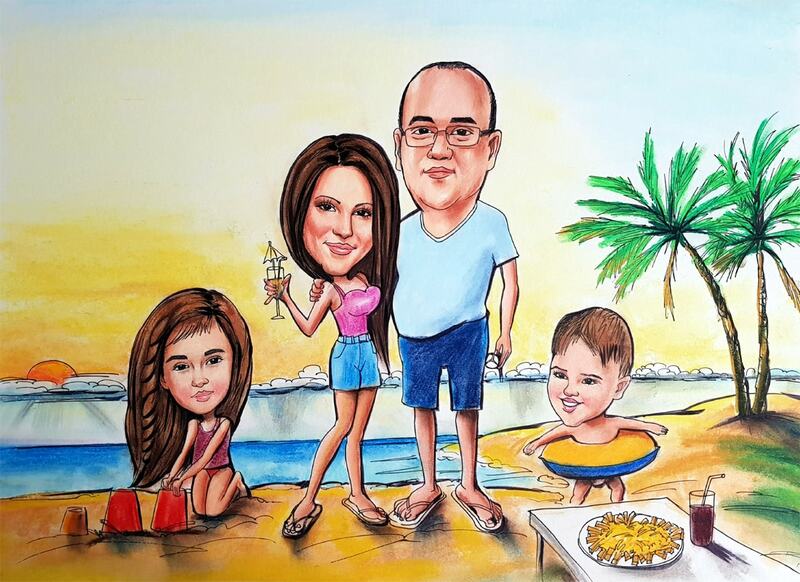 Commission a caricature from photographs by sending good quality photos over the email and explaining what you have in mind. Digital caricatures on iPad Pro.